This blog post title is appropriate for so many reasons. First of all, my summer semester is almost over! This time next week, I'll be free from this prison for nearly one whole month. I have an intense fall semester ahead, but after that, I'll be done with my master's program. You should know this about me. When I know that I have people coming over the house, I find the motivation to complete those little projects that I would avoid otherwise. That is the ONLY reason those things get done. As was the case this week. We hosted dinner for our 4th of July celebration. 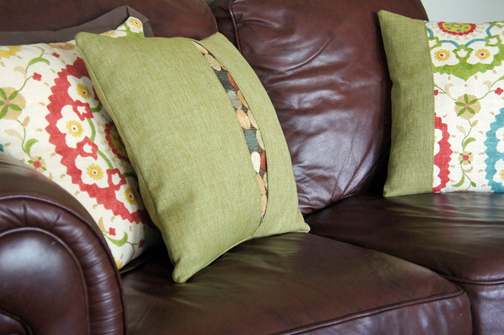 Our sofa pillows have long been a source of embarrassment for my husband. He doesn't usually get worked up about such things, but this was a point of contention for him. I agree. They look terrible. I purchased them to stage our last house when we were selling and they didn't look too bad then. But, my kids have totally abused them since. In fact, one pillow's seam ripped and stuffing is always strewn around our greatroom anytime my 2-year-old is left unsupervised. 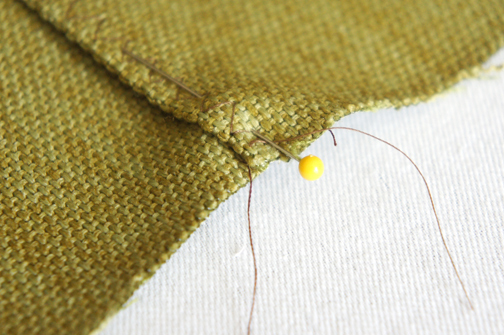 On Sunday, my husband sighed deeply and said, "Is it really that difficult to sew up this seam? Or make new pillows?" He doesn't ask for much, really. So, I caved and quickly worked up some new pillows on Tuesday night in anticipation of our company coming over on Wednesday. I actually like the pattern of the offensive pillows. 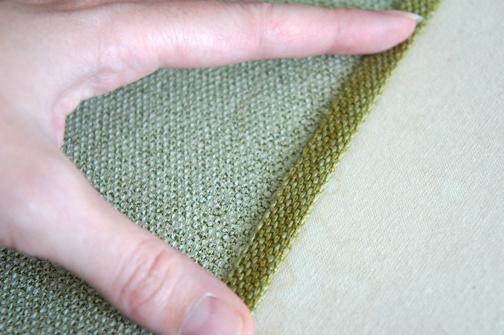 It coordinates with my other fabrics in the room. So I came up with a 10 minute solution to make us both happy. 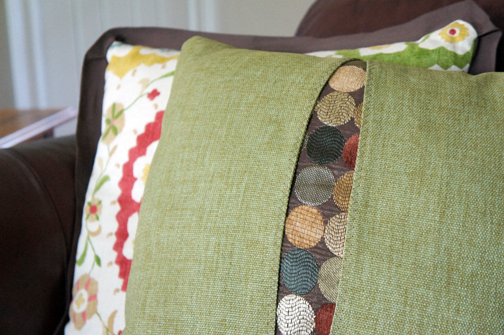 The "Bustin' Out" pillow cover! 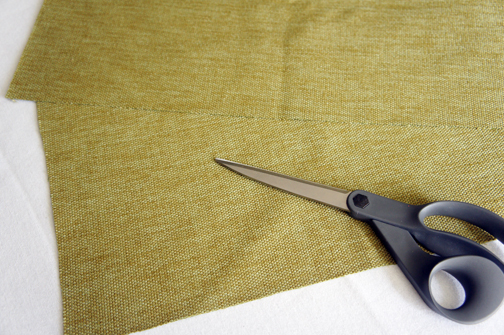 I cut a square of fabric, large enough to cover the front of my pillow form with a 1/2" seam allowance. 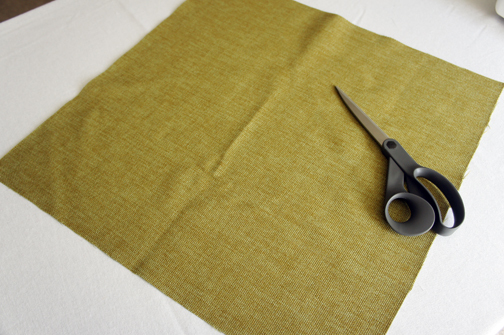 I then cut that square in half and hemmed the inside edges with a 1/2" seam. 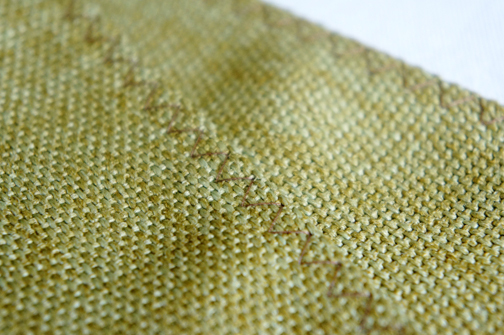 I used a zig-zag stitch to give it a more decorative finish. 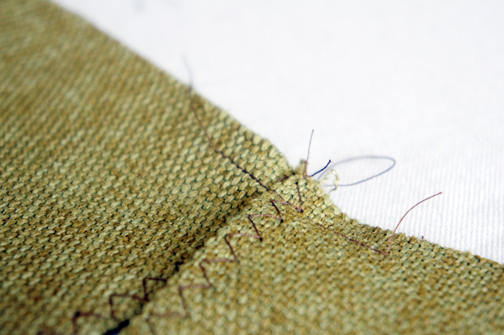 I overlapped the inside hems by 1/2" and basted into place. 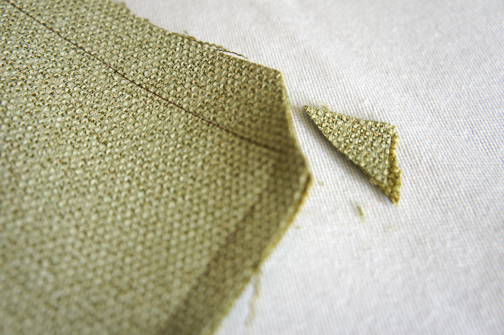 I then cut the back panel for my pillow and sewed the front and back together (right sides together!). I clipped my corners and turned the cover right-side-out. 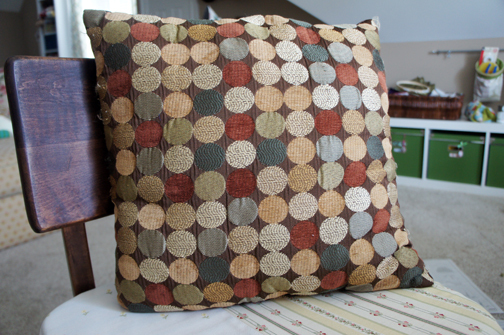 I stuffed my old pillow in and called it done! 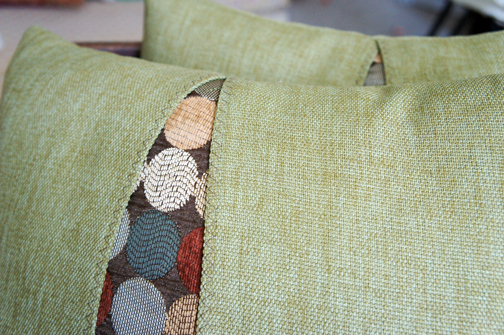 You'll notice that I altered my seams a bit on the top and bottom of the pillow. 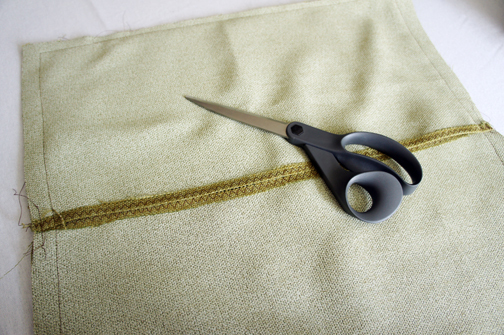 I used a narrow hem on the sides, but increased my seam width to give the pillow cover a tighter fit. I wanted it to appear as though the inside form was busting out of the cover. Ridiculously simple and even my husband was impressed! He couldn't stop smiling - which is a really weird reaction to have about a pillow.